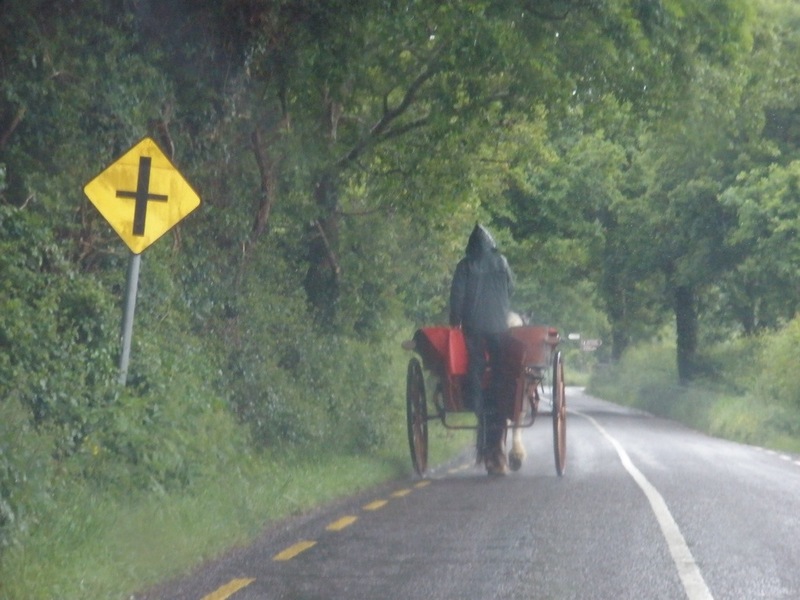 A jaunting car ride anyone? 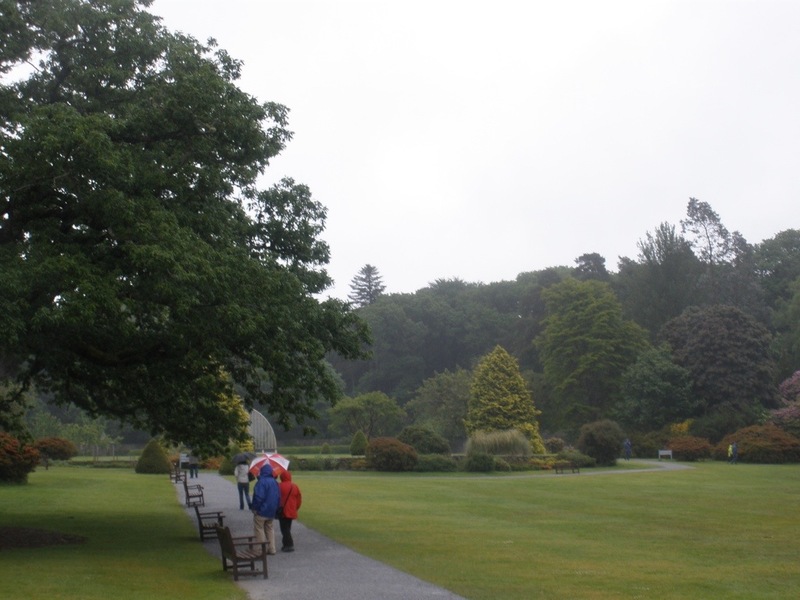 Killarney – everywhere you look there are horses and carts known as jaunting cars. 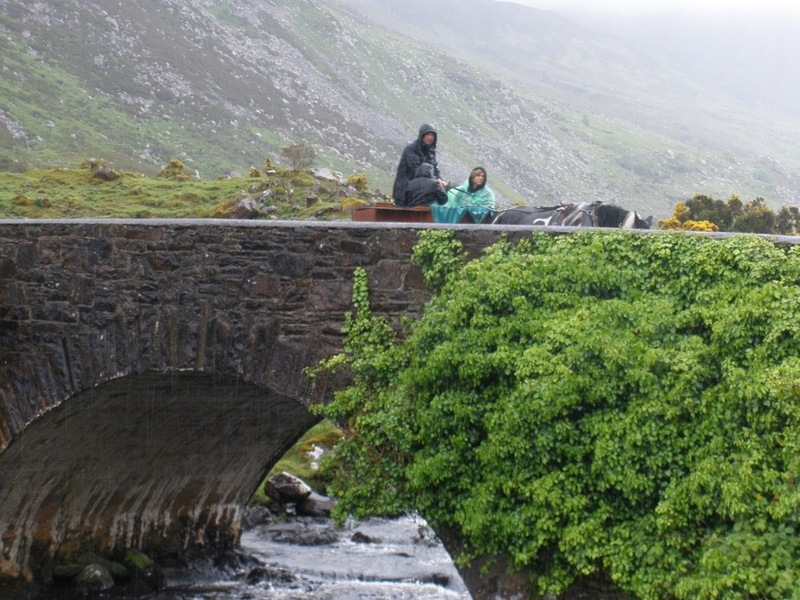 They are the best way to get around Killarney National Park and the other tourist sights and just sometimes folks will get a covered ride and other times not. The drivers were working very hard today to drum up business. as the rain poured down and the temperatures plummeted an “open air” ride was just a WET experience for the hardy romantics. 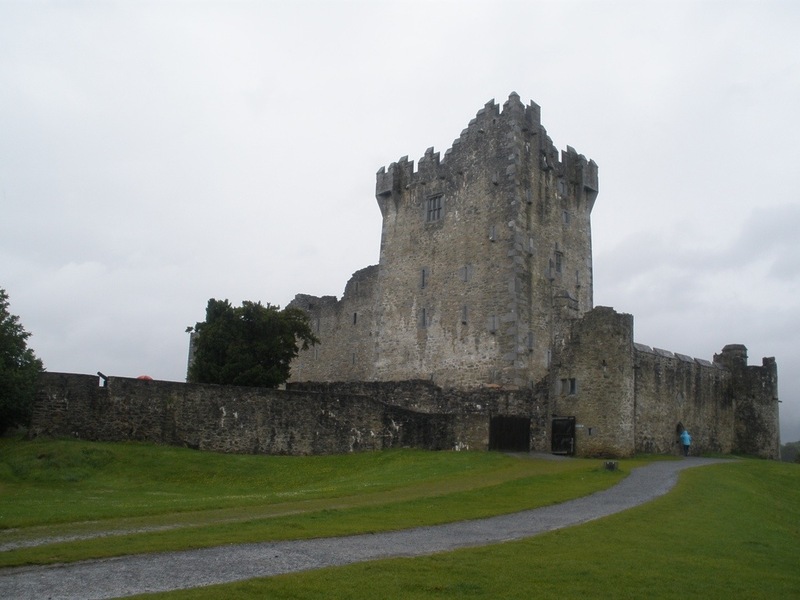 Ross Castle – a restored Tower castle from the 15th century which was a model defensive castle for the clan skirmishes, comes with its own murder flap!